Hi everyone! I’m back from Alabama this week. I spent 5 days there for a Southern Food Blogging Retreat. I met some great people, ate too much food, and that pretty much sums up my trip, it was fabulous. 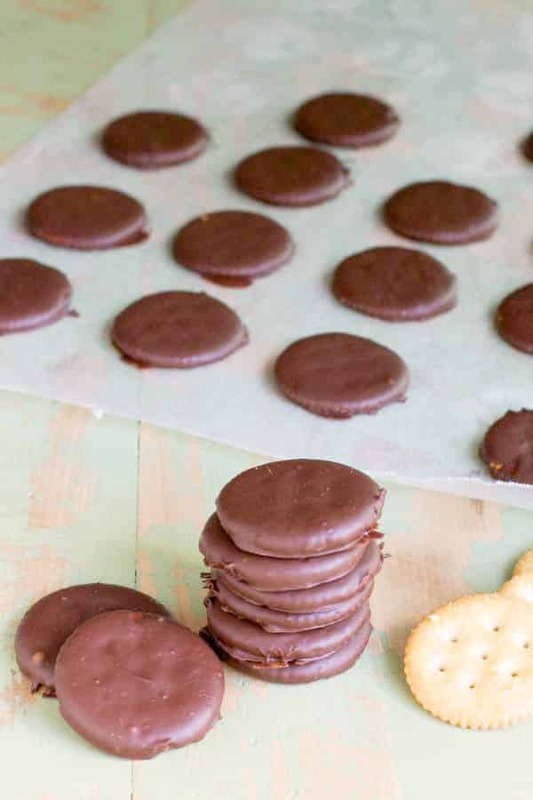 I’m already back in the kitchen, I made you these beautiful Ritz Thin Mints (say that 10 times fast!). These may not have the chocolate cookie inside that tradional thin mint cookies have, but believe me you won’t believe the tricks your mind will play on you when you try these. There is so much chocolate mint flavor in the coating that the Ritz cracker just has the supporting role of being crisp. I am going to make these for my holiday cookie trays, since they require no baking, I can make these while my oven is full with other goodies. My daughter just started Girl Scouts last month. She has her vest all ready to go. We won’t be selling cookies until the beginning of the year, so these Ritz Thin Mints will have to hold us over until then! I guess this year her troop has cookie costumes for the girls to wear while they sell cookies, I’ll have to be sure to post some photos then! What fun. 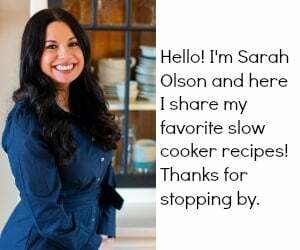 🙂 I hope you have a great week and I’ll have some more recipes for you next week. 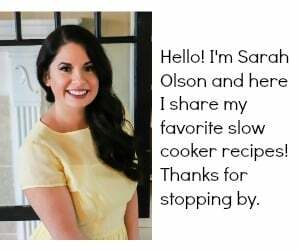 In a 1.5 quart slow cooker, add the chocolate chips, peppermint extract and salt. Stir. Cover and cook on High for 30 about minutes, stirring every 10 minutes. When the chocolate has melted, turn the slow cooker down to LOW. 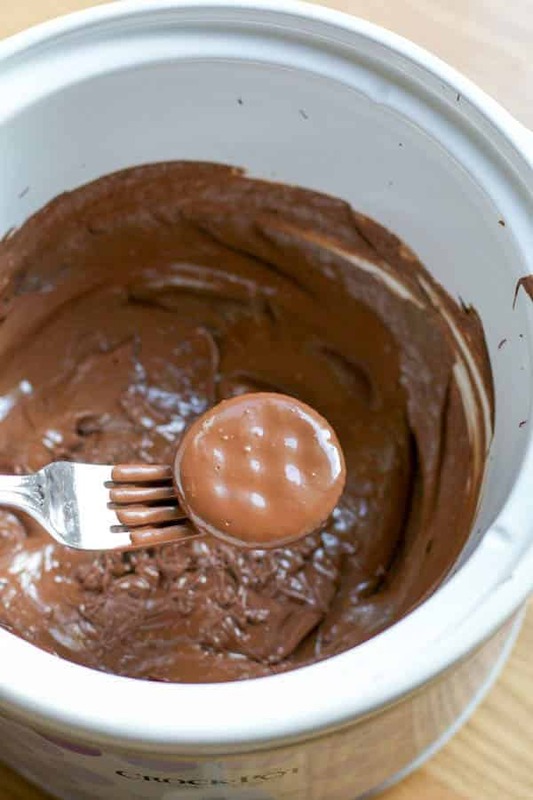 Add a Ritz cracker to the chocolate and flip it around with a fork to coat both sides. 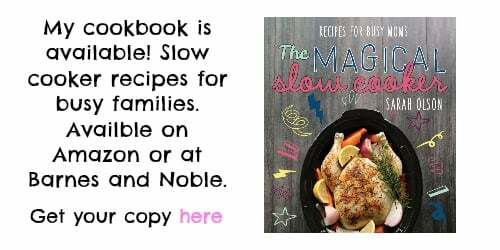 Pick up the cracker with the fork and tap the fork back gently on the side of the slow cooker, allowing the extra chocolate to drip back into the slow cooker. Place the chocolate coated cracker onto a piece of wax paper that is on a sheet tray. Repeat with remaining crackers. Place the sheet tray with the cookies into the fridge for 1 hour or until the chocolate has hardened. I had such a great time meeting you last weekend. I’m ready to go back…it was such a great experience! I hope you enjoyed the South. These looks absolutely amazing. They bring back memories of the chocolate-dipped peanut butter Ritz sandwiches my grandmother used to make! I’ve made these before and they are so yummy!! And they really do taste like a thin mint cookie!! I’m all for a copycat thin mint cookie until the Girl Scout cookie season starts! Love the simple ingredients! 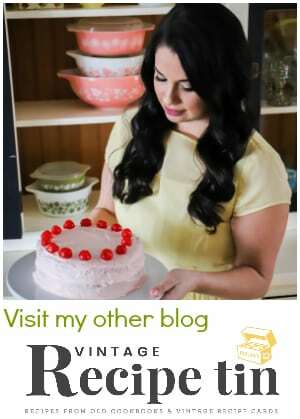 What a great idea and a perfect recipe to do with Amara! She is still nervous around the oven!